’Tis the season to be a college protestor. With a momentous presidential election on the horizon, the Occupy Movement promising to kick into high gear again, and young adults facing uncertain job prospects and ever-increasing higher education costs and debt loads, students at campuses across the country are understandably seeking ways of demonstrating their deep discontent and anxiety about the status quo. My own university—the University of California—has seen its share of unrest. Protests at UC Berkeley, the birthplace of the so-called “free speech movement” in the 1960s, got ugly last fall, with police who were ostensibly trying to remove encampments using batons against students. Things got out of hand here at UC Davis last fall too, with a campus police officer employing pepper spray against seated student protestors. After the blockades took place, notwithstanding repeated warnings from authorities that blockaders risked serious punishment, the university administration and campus police identified several students who had participated in the obstructive protests for prosecution by the County District Attorney, under state penal code sections making it a misdemeanor to willfully obstruct public walkways and places or to intentionally interfere with any lawful business. The bank provided evidence to the District Attorney’s office as well. Last month, 11 students and one faculty member were ordered to appear for booking and arraignment on misdemeanor charges of obstruction and conspiracy to commit a misdemeanor. On rare occasions, people who are doing something to express a message—especially a political message—are immune from a regulatory law on account of their message and the particular place and time at which they need to express that message in order to be effective in communicating it. And the Supreme Court has often said (for example, in last year’s funeral protestors case, Snyder v. Phelps) that speech about “matters of public concern” (e.g., public policies, elections, etc.) 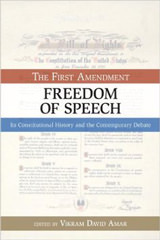 receives the highest level of First Amendment protection. But just because you are involved in an expressive activity about something you think is important does not mean you have an automatic exemption from generally applicable laws that were passed, and are enforced, for reasons that are unrelated to the suppression of expression. 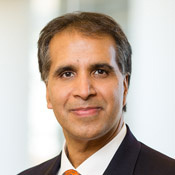 As one commentator (my brother, Yale Law Professor Akhil Amar) has put the point, The New York Times has no First Amendment license to ignore air pollution regulations. And the U.S. Supreme Court itself has made the same kind of observation in a number of cases, perhaps most famously in United States v. O’Brien, where the Court upheld the prosecution of a Vietnam War protester who intentionally burned his government-issued official draft card, because the law prohibiting destruction of draft cards was designed not to censor, but rather to facilitate the administration of the Selective Service System. So it turns out that motive or intent does matter in First Amendment cases—but it is the government’s motive or intent, not the would-be speaker’s, that largely determines whether the First Amendment permits government punishment of an activity that someone is undertaking in order to send a message. Rules that govern the time, place and manner in which speech occur often serve weighty purposes, including the creation of an environment where those who shout the loudest are not the only ones whose speech gets to be heard. Unsurprisingly, then, the idea that no one need ever obey such rules because the rules are pretextual or unimportant finds no support in court decisions. [T]he state retains a legitimate concern in ensuring that some individuals’ unruly assertion of their rights of free expression does not imperil other citizen’s rights of free association and discussion. … Freedom of everyone to talk at once can destroy the right of anyone effectively to talk at all. Free expression can expire as tragically in the tumult of license as in the silence of censorship. So things like physical obstruction and blockades are conduct that government has always had the legitimate authority to proscribe, because the conduct so obviously obstructs the liberty and the lawful pursuits of others. Government prohibition of blockades or obstruction has been held to be permissible under the First Amendment too many times to count. 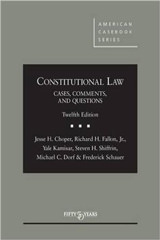 To cite just one example, a federal law, the Freedom of Access to Clinic Entrances Act (FACE), that prohibits anyone from physically obstructing any person from obtaining or providing reproductive health services, has been upheld repeatedly against constitutional challenge, and that statute raises harder questions than do generic obstruction laws (like the kind at issue at UC Davis) because FACE targets specific places where protestors with particular messages may be expected to gather. To see an easy example of why anti-obstruction laws are necessary and proper, consider what would otherwise happen when two groups of opposing protestors both want to blockade a facility (say, the US Supreme Court, the day of the Affordable Care Act arguments) at the same time, or two opposing political groups want to blockade each other’s protests. Without valid and enforceable time, place, and manner rules applicable to political protestors, political protests could easily and literally devolve into melees. One critical reason why blockades and similar obstructions can be prohibited is that they are not intended to, and do not, persuade anyone of the merits of the protestors’ position. They are employed to coerce third parties to change their behavior, not their minds. As such, blockades and the like are in some respects actually antithetical to, rather than in furtherance of, the values on which freedom of speech and academic freedom are grounded—a commitment to the power of ideas, rather than the use of force, to change the way that people act. There is a kernel of truth to this statement, in that courts often do rule in favor of people who act, rather than utter words, to get their message across. So, for example, a few decades ago the Supreme Court twice ruled in favor of protestors in striking down laws that tried to prohibit flag burning. And it often makes sense to downplay the speech/conduct distinction, in that all speech requires conduct or action—moving the muscles in one’s fingers or arms to make a point shouldn’t be categorically different than using the muscles in one’s jaw. So the government’s regulation of conduct can certainly raise free speech concerns. Yet, crucially, these free speech concerns in the conduct setting arise when the government’s regulation of conduct is intended to suppress the message that the conduct is attempting to communicate. In those instances, government is not punishing protestors in order to protect the rights of third parties. Rather, it is regulating protestors’ expressive conduct in order to censor the protestors’ message. So, on closer inspection, the notion that expressive conduct is protected is simply a restatement of the idea discussed above in connection with Myth No. 1—that is, the idea that the government’s motive is important. If government regulates your expressive conduct because it is expressive, then that is a problem. A censorial government purpose is always illicit, whether the government is targeting your words or your actions. That is the theoretical frame. But in practice, when the government regulates your conduct, it often can point to many non-censorial motives, such as keeping good order, preventing violence, facilitating access to public space for everyone, and so on. As a result, the government in the real world has a much easier time regulating conduct that is mixed with speech than regulating pure speech. Put another way, the inference of problematic government censorship is easier to generate when the government regulates pure speech, rather than speech mixed with conduct, because the government doesn’t have as many plausible innocent objectives to which it can point when speech alone is at issue. Some have suggested that authorities should excuse violations of time, place, and manner rules when the violations are politically motivated. If the meaning of the word “political” here is understood expansively, then this argument would seem to reject the enforcement of all content-neutral time, place and manner rules. After all, every intentional refusal to obey a rule can be understood to express the “political” message that the actor considers his or her conduct to be more important than any obligation he or she might have to comply with the rule. Nor does the problem go away if we define the term “political” more narrowly. Perhaps some believe that obstruction and other violations of law should be excused whenever individuals are acting in the furtherance of politically salient beliefs, that is, beliefs concerning the big issues of the day. Obstruction and blockades that protest things like government privatization, under this analysis, should be treated as permissible expressive activities. If this is the argument, it too has costly consequences. Presumably, under this view, laws like FACE, which protect women attempting to enter medical clinics to obtain abortion services, also could not be enforced against “political” anti-abortion activists who obstruct the entrances to clinics; anti-abortion protestors (or military funeral protestors, etc.) are assuredly expressing themselves on salient public policy questions. And even if we could stomach the costs of permitting all protestors who are addressing big issues to do as they please, a government’s decision to prohibit all blockades except those maintained in order to express a limited class of political messages would itself likely violate the First Amendment. That is because government cannot constitutionally discriminate on the basis of the subject matter of speech when it regulates expressive activity. In Carey v. Brown, for example, the U.S. Supreme Court struck down a law prohibiting residential picketing that excluded labor picketing that was connected to a place of employment from its coverage. Similarly, if government were to treat obstruction as permitted speech, it could not permit some blockades and not others based on the government’s (contested) sense of the political salience of the protestors’ message. Some people may try to define the desirable exceptions more narrowly still. For example, in the UC Davis bank episode, some have suggested that participants in the blockade of the bank should not be punished because they are promoting a political cause that is just. But, of course, treating one political perspective more favorably than another constitutes viewpoint discrimination. And a public agency that engaged in viewpoint discrimination in regulating expressive conduct would blatantly violate the core principles on which the First Amendment is based. So the narrower the exception from enforcement is, the larger the First Amendment problem becomes. Government can make enforcement decisions based on things unrelated to the content or viewpoint of the expression that is involved. So enforcement decisions based on the extent of harm actually caused or threatened by the protestors, or based on how repetitive the violations of law are, etc., are permissible. 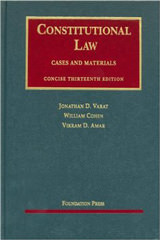 But enforcement agencies can get into First Amendment trouble if their enforcement pattern suggests any favoritism based on particular messages; as a result (and in order to avoid being unable to enforce laws when the laws are violated in the future), many government enforcement decisionmakers tend to act more mechanically than would otherwise be expected. As with some of the other propositions I’ve discussed, there is a grain of truth to this statement; universities are indeed dedicated to promoting free speech, and what counts as “disruption,” or “obstruction” might be different in the context of a university quad than in the context of, say, a post office parking lot. So, provided that public universities do not treat protestors differently based on the subject matter or viewpoint of their message (which would violate the First Amendment), they may permit a bit more operational inefficiency than do other government actors, in the name of promoting free speech. But the problems of governing a community with tens of thousands of residents who have conflicting desires to access services and use scarce property do not disappear simply because the community is also an institution of higher education. Again, any relaxed enforcement stance by public universities with respect to liberal protests would necessarily mean that campus authorities could not step in when on-campus student health facilities providing contraceptive services or advice about abortion are blockaded by politically motivated students who oppose the use of their student fee dollars to subsidize such services. And you always have the problem of managing the use of limited property among competing protestors; when protestors want to counter-blockade each other’s protests, then enforcement of neutral time, place and manner rules are the only way to keep order. One might think that private universities would be free to pick and choose how to enforce their rules, because they are not bound by the content- and viewpoint-neutrality norms of the First Amendment. But in California, there is a statute that subjects private universities to the same constraints that the First Amendment imposes on public actors. As long as this statute is not invalidated itself (and I do think it is open to some constitutional challenge), Stanford is no freer to selectively enforce its rules than is the UC. Finally, I note that there is one other respect in which universities may be different (as least with regard to their students) than are other communities. Namely, universities often have an administrative disciplinary system of enforcement (e.g., academic suspension, expulsion, etc.) at their disposal. For this reason, criminal prosecution may not always be an appropriate or supportable response to protests that violate campus regulations or even penal laws governing on-campus conduct. In some cases, in-house discipline imposed by the university itself may be adequate and preferable, so long as decisions about which mode of enforcement to pursue are not made on the basis of the content or viewpoint of expression. So the issue of what kind of sanction makes sense is an important one to keep in mind in the university setting. So, too, are the related questions of how much, and what kinds of, force are appropriately used against students who violate university rules. These two questions are beyond the scope of my column today, but obviously deserve careful attention.